Here's a card I made a little while ago but haven't shared on my blog yet. 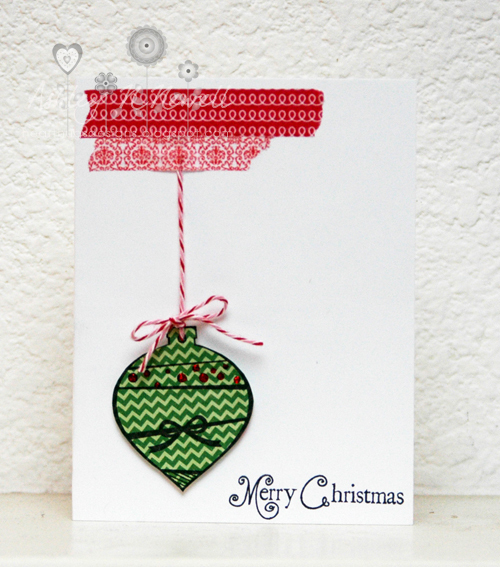 I used My Thoughts Exactly Holly Jolly Tags and Holly Jolly Phrases for this card. I used some washi tape, the top one is from Love My Tapes the bottom one is from Hambly. The paper is Echo Park and I finished with some Peppermint Divine Twine. This is just adorable! I love washi tape! Fun card... Love the washi! Oh this is sweet love it!!!! Great card and a great use of washi...I can never think of good ways to use them!! !